Posted on January 26, 2011 by Kathy T.
After this week, I will be losing my access to the drill-down real estate data as I am moving my license from Active status to “referral only” (at least until my current listings and contracts close). I’m hoping to help Ivy recruit another real estate expert to write here … I know we have several amazing agents living right here in LaV — Robert Carroll, Lisa Morrow, Biane McGee come immediately to mind! Housing statistics really are wildly important for the city … we want people to know we have some wonderful, affordable homes available! So statistics… here we go. Lowest Price: $18,900 on Sand Hill Road. Let’s be realistic – this is a tear-down and the price is the value of the land. 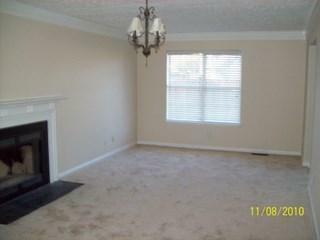 Next Lowest Price: $29,900 in Plantation Village. Mobile home on permanent foundation. Foreclosure. Note: LaVergne actually has some houses that are quite nice now available. Elbow grease (new paint, good scrubbing with bleach and pine cleaner) and possible new carpet and appliances will transform these into real beauties. Highest Price: $479,900 at The Woods at Martins Bend. 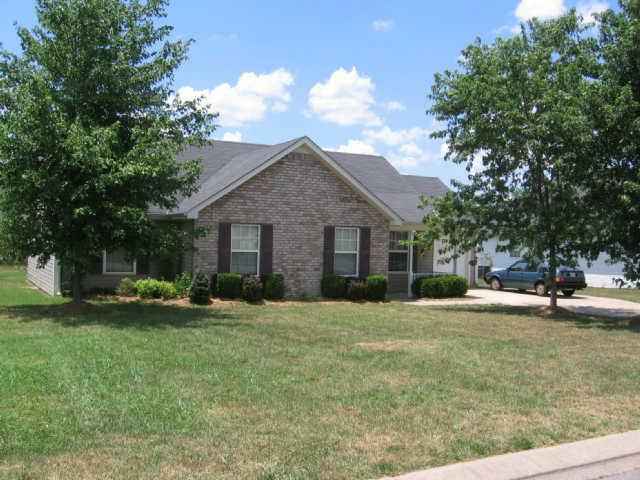 Four bedrooms, four and a half baths, 4298 sq ft.
Lowest Price: $49,000 HUD-home in The Cottages of Lake. 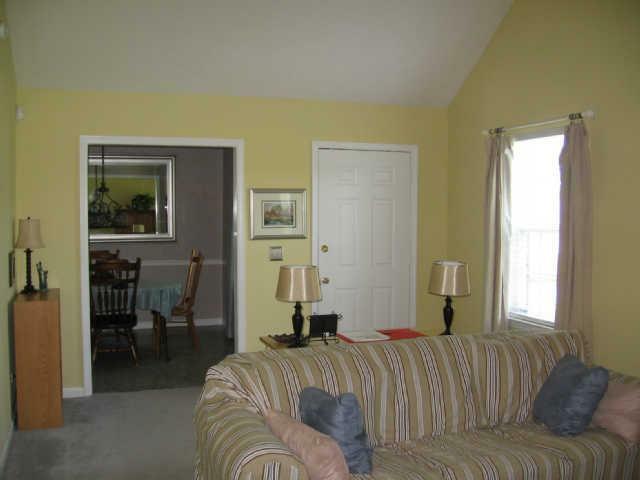 Two bedrooms, two and a half baths, 1041 sq ft. Appears to be in good shape, but $500 needed for repairs. 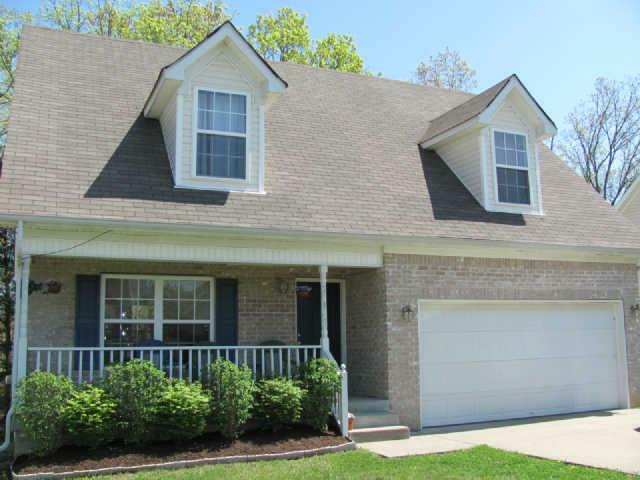 Highest Price: $122,000 home in Villas of Central Park. Two bedrooms, two and a half baths, 1356 sq ft.
That’s about a 17 percent (ish) drop in the number of sales. Least Expensive in 2010: $19,900. Mobile home in Driftwood Village. Most Expensive in 2010: $388,700 in McFarlin Point. Four bedrooms, three and a half baths, 4011 square feet, all brick. Jaw dropping beautiful. Least Expensive: $54,900 Two bedroom, two and a a half bath Fannie Mae home (which means they come in a re-do prior to selling. Great buy for someone! Most Expensive: $104,000 End unit two bedrooms, two and a half baths at the Villas of Central Park. Hmmm… let me figure out how to present this information since I’m unable to simply cut & paste the table. There are two “areas” of LaVergne on the MLS. Area 31 is “East LaVergne” and includes the following subdivisions (among others): Ridgemont, Lake Forest, Heritage Valley, etc. Area 32 is “West LaVergne” and includes neighborhoods like Farmingdale, Dove Creek, Greenwood, Chelsea Estates. To visualize, it’s almost like the dividing line is Murfreesboro Road. *Median – A median price is the number that is exactly in the middle of a list of numbers. For example if we have a list of numbers: 1, 2, 3, 4, 5, 6, 7 THEN 4 would be the median price. it’s just “the one in the middle” of everything else. Why in the world would the new listing numbers be so much higher than the active, pending, and closed? This occurs when a listing is withdrawn or expires… and then relisted. One agent in our area (no names mentioned) is notorious for listing homes for 30 days only because it appears the listing is new and fresh. This actually skews the data for everyone else, but makes that agent look good. When you do look at listings online, though, an agent can show you the actual MLS history of a house and it will show how many times a home has expired or been withdrawn. My listing on Bill Stewart Blvd. has been transferred to my colleague Teresa Phelan for $124,900. It has over 1700 square feet… a very nice house! You can reach Teresa at my (old) office number 459-4040. So that’s it from me on real estate. My MLS access will end at the end of the week, so if you have any questions for me … this is the time to ask. Otherwise I can refer you to another trusted, smart Realtor. Posted on January 2, 2011 by Kathy T.
This is a free site. Free for you, costs me time and energy. So please be a jewel and put on your thinking hat for me… think about people you might know who are interested in buying a house in Middle Tennessee. I currently have three listings – all very affordable. And they need to sell! 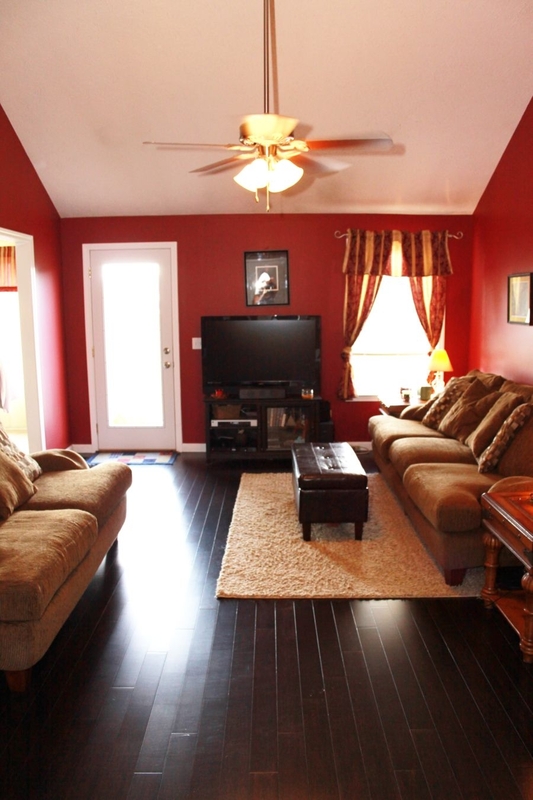 First up is the gorgeous home in LaVergne, located at 281 Bill Stewart Blvd. The sellers are asking $124,900 for this wonderful home that has 1756 square feet (what a deal!). The house has three bedrooms, two full baths, one half bath, and all the kitchen appliances remain. AND the sellers will let you keep the wonderful water filtration system. It is located on one of the thoroughfares of Lake Forest, but since it’s at the beginning you’re close both to the fire station AND easy in / easy out access. AND it has a two-car garage! 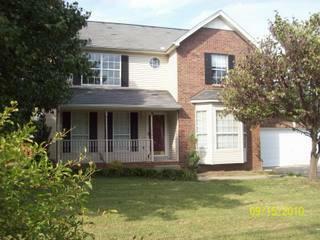 Next up is a nice little house off of Nolensville Road in Nashville, 418 McIver St. The house has almost 700 square feet, two bedrooms, and one full bathroom. Yes, it’s small but perfect for someone who wants their own place with very easy access to all parts of Nashville. The seller is asking $75,000 for the house and has agreed to put in new carpet on behalf of the buyer. (Seller has a little dog so wants the carpet to be new-new, not new with some dog hair for the buyer). The stack-able washer-dryer will remain with the house. I think the nicest feature is the large back yard. It does slope, but there are level areas for a picnic table and grill. Finally, go north to Portland, Tennessee for another beautiful house. 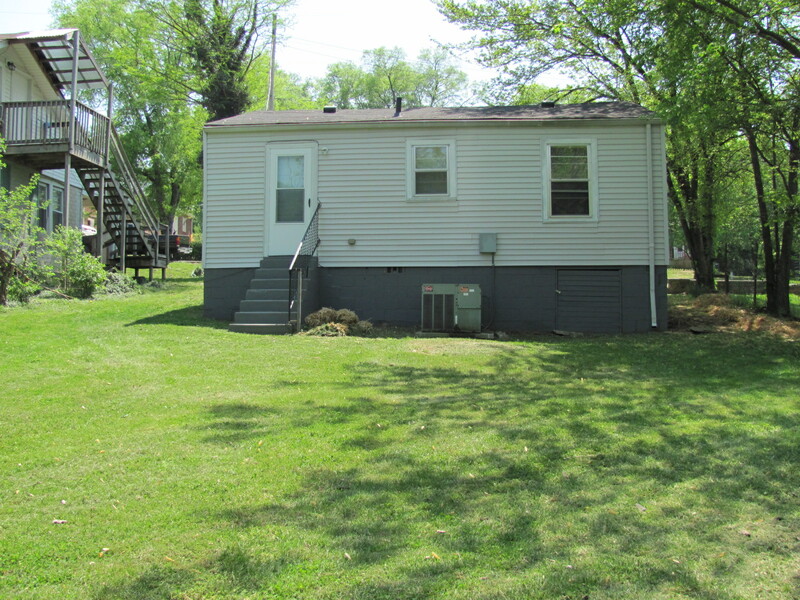 Located at 600 Portland Blvd., the seller is asking $110,000 for this 1,248 square foot house. The inside is absolutely stunning … the seller is a meticulous person, so everything is absolutely clean and well-maintained. This home has three bedrooms an two full baths, along with dark bamboo/cork floors, a big eat-in kitchen with a bay window for the table, and ALL appliances remain: refrigerator, stove, dishwasher, washing machine, clothes dryer. In addition, it has a fenced in back yard and a big storage building. What’s the best thing about all three of these houses? You do NOT have to stand in line waiting for a bank to make a decision on whether to accept the sales price! There is NO third-party approval, therefore no added wait time to close on the houses. All are already affordable. All are move-in ready (with new carpet coming in one). All have sellers anxious to hear from you! If you know anyone who’s looking for a new place to call home, please forward this post to them. I can be reached by email at kathy (at) bobparks (dot) com or by phone/text at (615) 491-2161. Thank you for your help in sharing these listings. I do appreciate you taking the time to read this brief commercial and any help you can give. Do you have the expertise to serve on a City Board or Committee, or ever thought about it, LaVergne? I do have to admit the thought has crossed my mind a time or two! Well it’s time to get out and contribute to our great City. The following committees and boards have vacancies to fill, according to the information from last night’s Board workshop. There’s a description of each Board/Committee available on the City website, along with the application and procedures. Posted on December 1, 2010 by Kathy T.
The automatic, instamatic notification system that LaVergne dinged a message earlier today about winning a grant! LaVergne received $150,000 from the Tennessee Housing Development Agency for low-income home-owners to make repairs. The income criteria to be eligible for the home-repair funds are: One person in household, can make up to $36,550. If there are two people in the household, $41, 750. Three people, $46,950. Four people, $52,150. Five people $56,310, etc. For more information or to apply, contact the city grant writer Montique Luster by Feb. 4, 2011 at City Hall (call 793-6295). I wonder if the city would consider appointing a committee of interested residents to perhaps brainstorm ideas on applying for federal funds to improve our neighborhoods. There may already be a committee for this… ?? anyone know? Posted on November 20, 2010 by Kathy T.
20,000 Homes Will Sell This Weekend in the U.S., Will Yours? Thanks to Brittney G. for many of these great links. Have a great weekend!